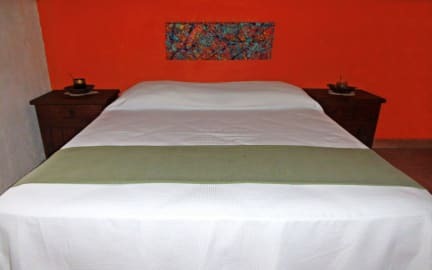 Casa Rio Cuale is the perfect place for relax, it is in a great location with beautiful views, is located on the mountain side of Puerto Vallarta on the outskirts of the city but just 2.5 miles from Old Town, Romantic Zone and los Muertos beach. 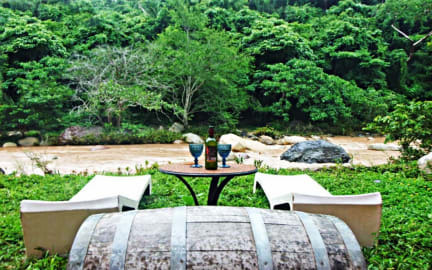 Casa Río Cuale has flexible and spacious social areas, and a beautiful chill-out garden with abundant vegetation and Medicinal Plants, where you can watch a great variety of birds in the comfort of a beach cot and at night you can observe the stars with the pleasant sound of the river. This is an excellent opportunity to take a break and enjoy nature that beautifies the place, take a refresh shower in the river and see the tropical vegetation and variety of birds.